Putting marijuana into food isn't limited to just college students and brownies anymore, as notable chefs are now preparing high-end cannabis-infused delicacies. Host Abdullah Saeed is at the center of the action on this series. He throws parties with the chefs, who prepare elaborate multicourse meals featuring food infused with marijuana for the party guests. 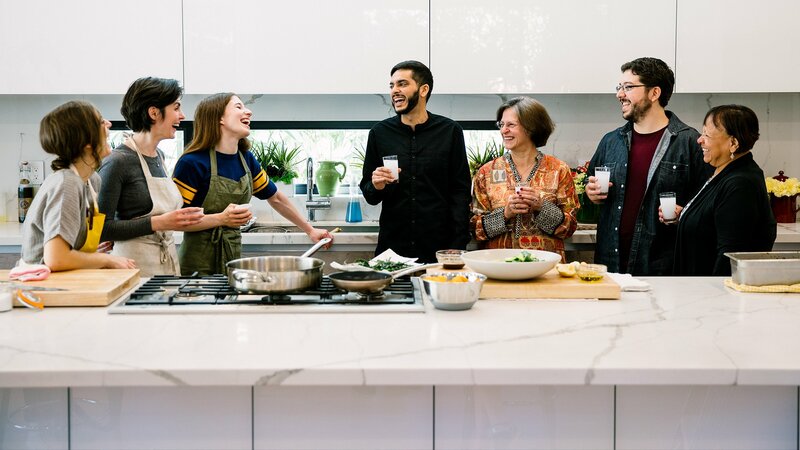 The chefs prepare their meals in a kitchen that is stocked with what Viceland says is "the biggest selection of marijuana ingredients ever assembled." Chef Marcel Vigneron makes a cannabis-infused meal using molecular gastronomy. Chef Wes Avila makes weed tacos for a fiesta with a cannabis-filled pinata. Chef Deb Mikhail roasts weed-stuffed chickens over an open flame. Ras G performs. Chef Taylor Persh makes cannabis-infused steak tartare and creampuffs. Abdullah throws a cannabis-infused murder mystery dinner party. Chef Deuki Hong prepares classic Korean dishes infused with cannabis. Ganja grandma Nonna Marijuana prepares a cannabis meal full of classic infusions. Chef Miguel Trinidad cooks a cannabis-infused Filipino feast. The crew camps out in Joshua Tree for an outdoor infused feast.